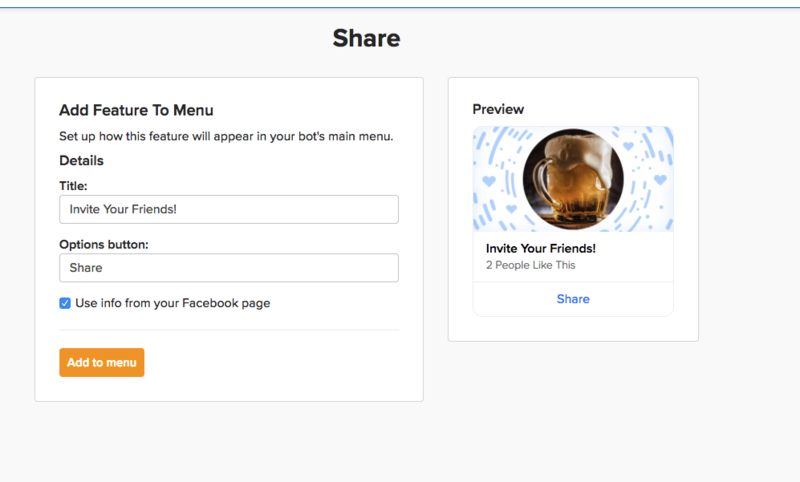 What is the Share menu item? 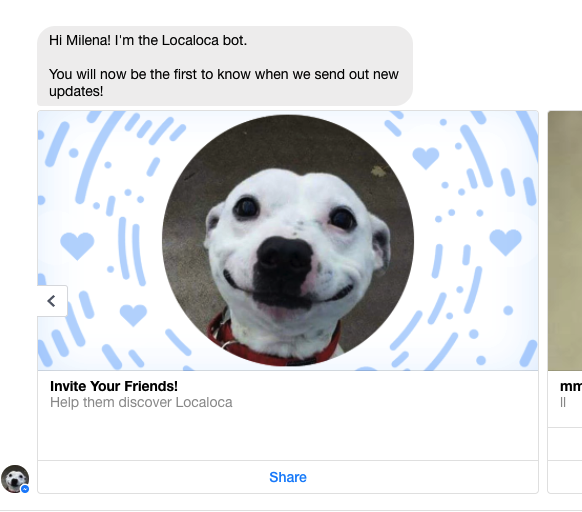 The Share feature is added to your bot by default and it's a great way to encourage your audience to share your bot in Messenger, on Facebook, or on Twitter. 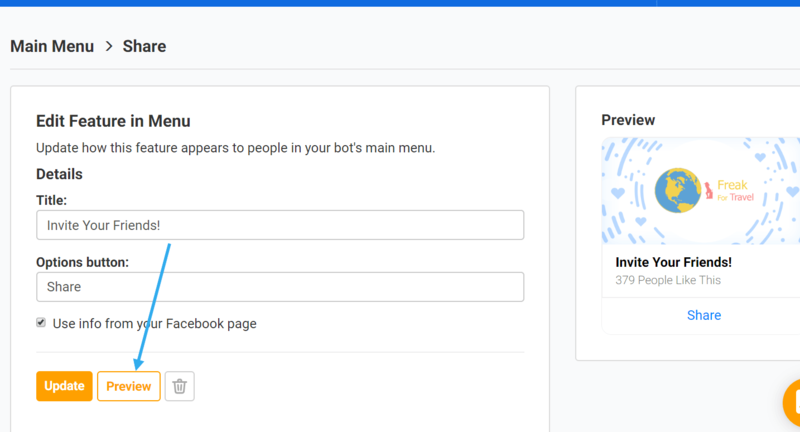 By default the image and description are pulled in from your Facebook page but you can customize it in your "Manage" page to anything you want.